DonorsChoose.org is a popular crowdfunding platform available to U.S. public school teachers, who use it to fund projects and resources for their classrooms – including materials for their FIRST® teams. Monique Dituri, DonorsChoose.org Teacher Ambassador and FIRST® Robotics Competition mentor, shares 10 tips for starting a successful crowdfunding campaign. 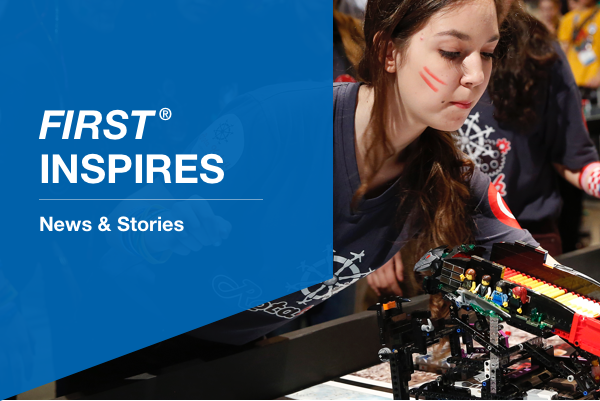 Jump Start gives first-year FIRST® Tech Challenge and FIRST® LEGO® League teams, coaches, and mentors time and flexibility to practice and strategize before entering competition in the 2019-2020 season. FIRST LEGO League Jump Start: Now through April 15, 2019, Jump Start teams receive access to their choice of one Classic Challenge Set and a credit for their single-team registration for the 2019-2020 season. FIRST Tech Challenge Jump Start: Now through April 15, 2019, Jump Start teams receive access to a discounted and reusable kit of parts and a credit for their single-team registration for the 2019-2020 season. Need-based grants are available. FIRST President Don Bossi and Joe Brandmeier, director of the short film “small town ROBOT,” discussed what led a small community in Minnesota to rally around their FIRST Robotics Competition team. The dedication and support of coaches and mentors fuels the FIRST mission. Celebrate National Thank Your Mentor Day and #makeitloud on Twitter by using the hashtag #thankyourmentor. Update your email preferences to choose the types of emails you receive or unsubscribe from FIRST Newsletters.